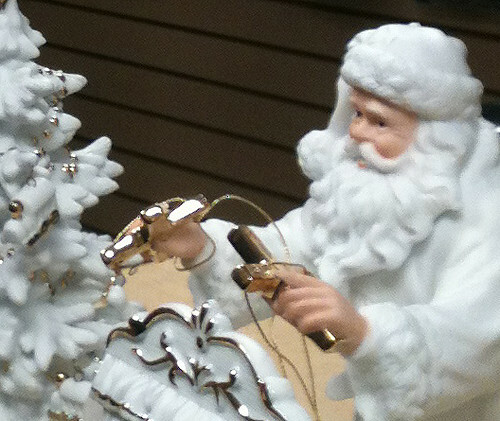 Please take a number and ponder how The Nutcracker—you remember, that’s the story of a seven-headed Mouse King and a kingdom of dolls who come magically alive, among other pagan details—is actually a Christian-run story secretly enacted by a Jesus-like white Santa Claus operating marionettes hung from gold crosses. The decor at Prime Minister Stephen Harper’s residence in Ottawa is almost as bad as the very fact of this distasteful event, which – can this really have happened? Happened in actual reality? It is known that Bruce Allen, Adams’ manager, is as right-wing as it’s possible to be and still be in full-time music, so he’s probably behind this. When your decor is a romantic deal-breaker: a female visitor fled upon seeing this NYC lawyer’s sheets. My sister, by the way, had those exact sheets. When she was 12. Via the NYT where there’s also a really gratifying condemnation of Klimt posters. 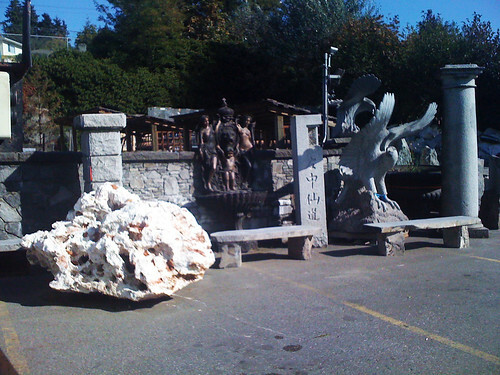 Things for your garden, from right to left: Roman column, menacing bird of prey statue fit for a military dictator, mass-produced standing stone with Chinese inscription, birdbath/fountain with peeing cupid and his parents, cartoon meteorite. Acutally, this is neither a meteorite nor a fake. It’s a real, naturally occurring rock of some kind.